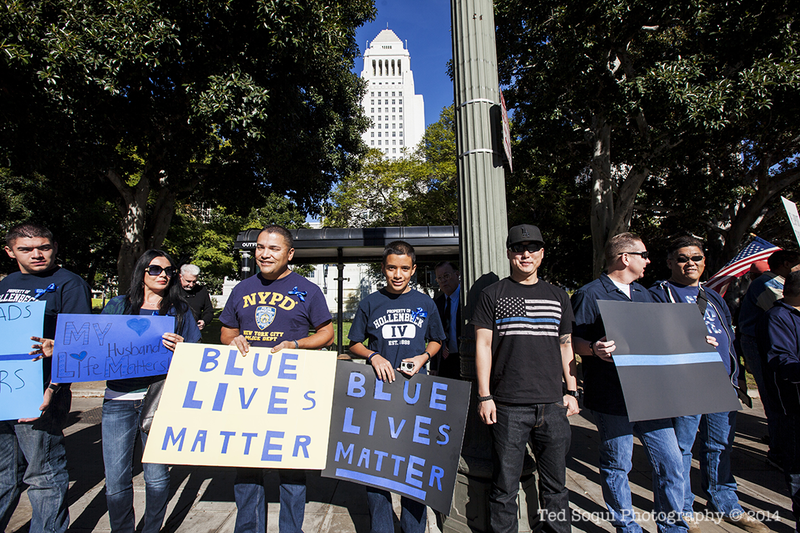 About 100 supporters of law enforcement officers, many of them family and friends of LAPD officers, held a rally out front of LA City Hall. 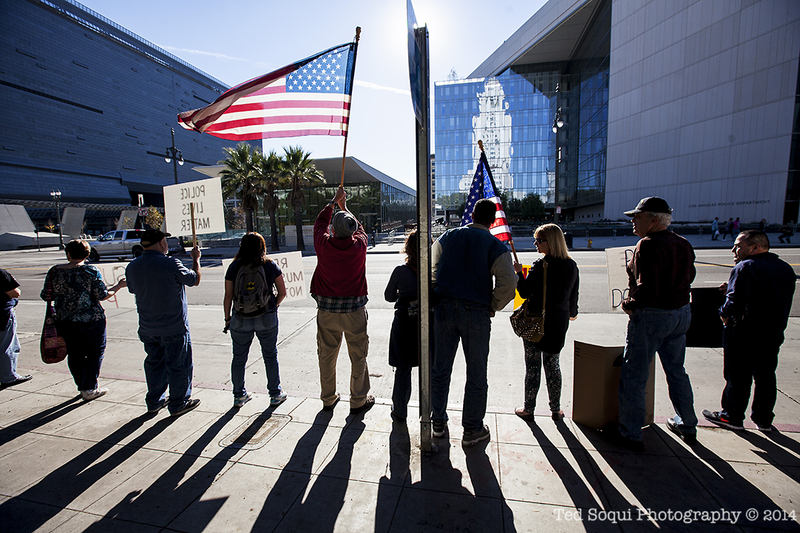 Several retired LAPD and other law enforcement officers joined the rally. 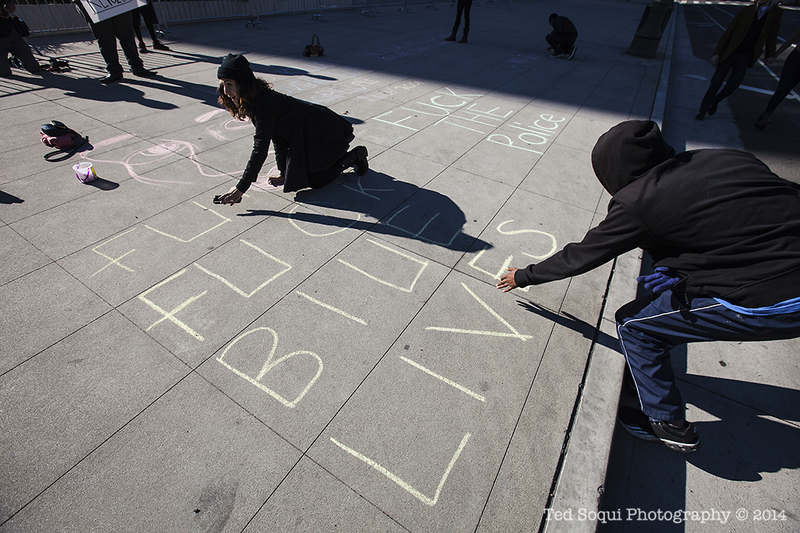 A small counter protest demonstrated out front of the LAPD headquarters building. 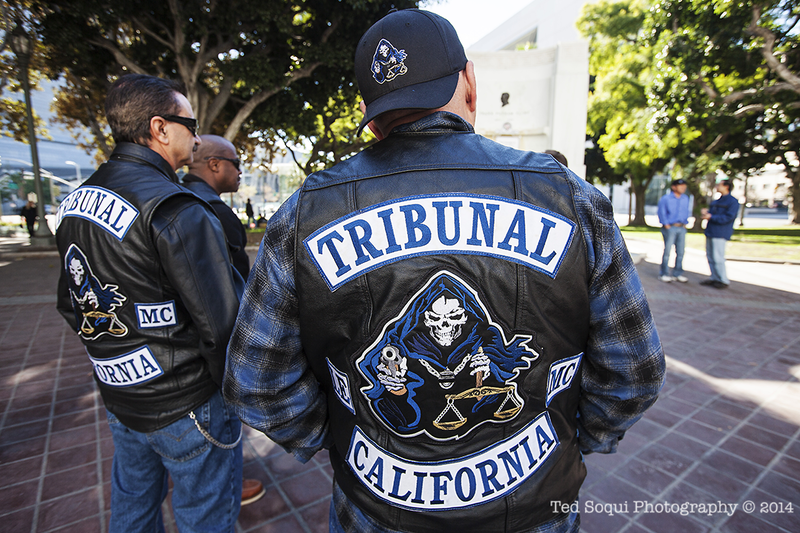 Members of the Tribunal, a law enforcement member motorcycle club. 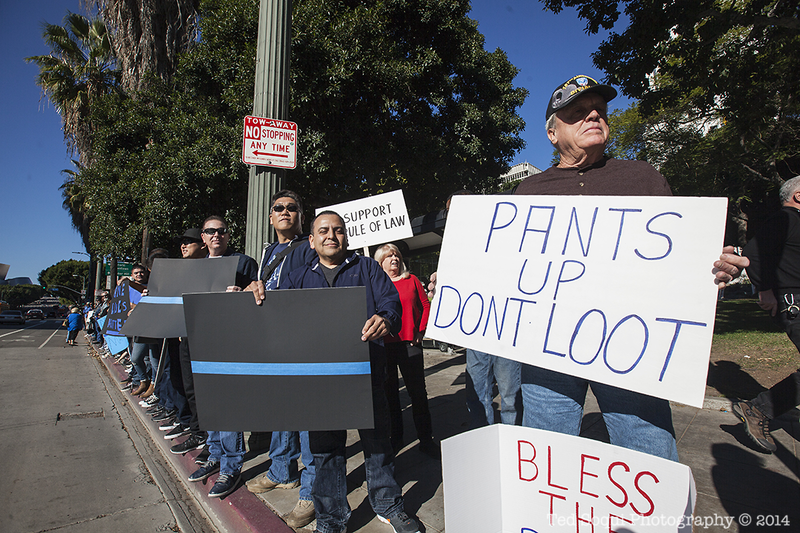 Thin blue line of support.